Harriet Green, OneVoice board member and an old friend, was just ranked in the top 50 women in world business in 2011. She is the highest ranking business woman of the UK and that is not for lack of good company! To see more about this honor, see here! According to an article in Foreign Policy, Former President Bill Clinton blames PM Netanyahu for the lack of peace process progress. Clinton specifically pointed to Netanyahu’s Administration for failing to accept the Camp David terms, as well as a change in Israeli demographic, making Israeli’s less open to peace. As Clinton argues in this article, the peace process would benefit immensely from Netanyahu’s administration being more amenable to compromise. It is something everyone in the corridors of Arab power tends to acknowledge: that the current Iranian regime is a destabilizing apocalyptic messianic cult whose acquisition of nuclear weapons would be an overwhelming threat to the region. But it is never publicly discussed or shared with the masses. Till now. The leaks of diplomatic memos between the US and its foreign allies is a stark affirmation of the danger that Arab – and Israeli – leaders perceive from Iran. Middle East leaders speak about their powerful neighbor with a directness seldom, if ever, heard in public. 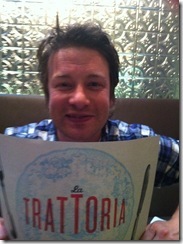 I just had a great lunch with Jamie Oliver at his restaurant on my recent trip to London. 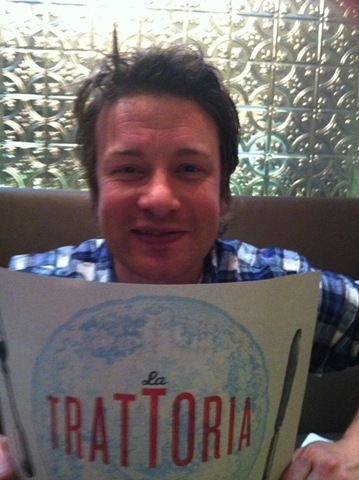 Jamie has done amazing work with his cooking talents and has inspired many, many people to eat healthy and enjoy their food and cooking. We had a great discussion about various ideas for collaboration to fight the obesity epidemic and continue his mission to give back to the food industry. Check out this video below to see just how inspiring Jamie’s mission is to teach every child about food! As this latest study confirms, obesity rates across America continue to rise to epidemic proportions. As obesity rises, so does diabetes, and countless other threats to health. The above study observes the need for more exercise and better eating. But the way our modern lives are structured, people are increasingly consuming junk food on the go. This is why it is vital to create innovative solutions that provide consumers healthful choices on the move, without sacrificing taste, wholesomeness or convenience. It is so easy to say it, but as we test at KIND every day, coming up with more solutions that are true to our commitment of using only premium all natural “ingredients you can see and pronounce” that are “KIND to your body, your taste buds and the world” is not that easy. It has taken us years, but beyond our award-winning line of KIND Fruit & Nut bars, we are working on a few very exciting fronts that should not just help counteract these societal problems, but also yield DELICIOUS healthy options! Later this week, Sir Paul is receiving the Gershwin Prize from President Obama. In her opening speech of Parliament, the Queen of England articulated that her “government will continue working towards a two-state solution that sees a viable Palestinian state existing in peace and security alongside Israel.” This is an important because her words are intended to set the government’s priorities for the next year and a half.